This was...ok? It's 1:08 and I don't remember the Spies sketch. Spies was the undercover team getting crossed wires with the webcam girls. NBC has the clip up now with the name Espionage. I had the feels during Aldean's Tom Petty cover. He's a supporter of the NRA, isn't he? I wish he hadn't been there, tbh. The spy sketch was funny. Loved the Amazons sketch so much. I think this was a pretty solid show. Kenan's impression (??) of OJ was terrible (maybe he wasn't even trying to impersonate him...?) but I really liked the sketch anyway. Pete Davidson's "ok" guy cracks me up. I'm not sure if it was an amazing show overall or maybe I was just in a super happy fun mood but I pretty much giggled through the whole thing. I didn't understand the Naomi sketch but assumed it was some kind of riff on The Jenny Jones show? Where she used to have fake drill instructors come out and threaten kids/teens with bootcamp? There was an episode of the JJ show called "the saddest boy alive" where a little boy said he had no daddy. But why would they parody a show from, what....ten, fifteen years ago? That didn't make sense. So maybe it was a riff on something else. It was the last sketch, I think it was just a generic riff on all that. I feel like Spies could have been two separate, better sketches. I liked First Date and the E! Fall Lineup commercial. Sam Smith is DGAF material. Amazons was another Kate-service sketch to kiss Gal like the UFO one last week was for pawing Gosling. Sam Smith was execrable, but I had a pretty good idea of that going in. I thought the Aldean thing was nice, but the song was a pretty low-energy version. And yeah, I heh-heh'ed through it, but I hope it's solidly average or below as the season continues. OJ knife jokes are still "too soon" for me. Also, three taped pieces in the first half hour? Youths, I can remember when there was one fake commercial and maybe a taped musical montage the whole show. And that's what I mostly want to see - one really funny Tostinos-like ad and the elaborate girls music videos of the past few years. Dunno, maybe I'm just cranky from recent lack of sleep. It is still nice just to have a new season in play, but I thought the premiere was better than this. Well, Weekend Update made up for the weaksauce show opener speech (wasn't a fan of McKinnon's RBG, but the rest of it hit pretty hard. Good on Davidson!). Felt like lotta semi-bro humor to me. Yeah, this. Kinda feel a little sorry for how extra objectified Gadot was used. She was game, but I kind of wonder if she insisted on adding that dig in Hebrew in her opener, after doing/reading the sketches. Maybe I'm reading waay too much into it, but Gadot's closing speech felt like a hostage reading from a script. Yes, I'm feeling cranky too. I know Jason Aldean was a timely surprise guest for the cold open, but they missed an opportunity to have Sam Smith play a Tom Petty cover instead. I feel like Spies could have been two separate, better sketches. Well, the cops half was a retread of the SWAT Recon (Cotton Candy Dance Party) sketch from last year. I think this week's sketch was worth it just for putting the $40 million into the girls' tip jar. I really liked the Safelite Creep sketch, even though there wasn't a good ending to it. They matched the tone of the ads nicely, and Beck Bennet does have inappropriate creep down. Speaking of which, I think we're seeing signs of the end of the brief glorious reign of Chris & Sarah. I have definitely felt a lack of something in these first two episodes. I'm just stopping by to say Leslie Jones looked INCREDIBLE as Wonder Woman. Holy crap!!! Also, I liked the new cast member Heidi Gardner as the "bad kid" in the 'Naomi' talk show parody -- it could have been a forgettable caricature but there were some flashes of pure weirdness that made me interested to see more from her. Kristin Wiig was so great with just doing *weird*, not terribly gendered or otherwise easy categorized, characters and I've been missing it since she left. I had the feels during Aldean's Tom Petty cover. He's a supporter of the NRA, isn't he? I felt a lot like having an NRA supporter singing anything with Stand My Ground as part of it was in questionable taste. I enjoyed this episode. I felt Godot was a bit like she was in Wonder Woman, a lot of people finding things to do which hinge on her being strikingly attractive but without showing her range (which I assume she has?). I also felt weird about the Pete/BPD thing though I hadn't heard about it before but have some family members with mental health issues and... I'm not sure if it could have happened in a way I was 100% comfy with so go Pete for doing your thing. I am a fan of "OK" guy and I always thought the reason we didn't see him more was because he had stopped smoking weed and ergo his Crohn's was a bit less predictable? Will go read up. Otherwise I felt like Weekend Update killed it. I enjoyed Spies, for some reason Moffat is one of my fave new cast members lately. Provably just because he's preppy-familiar to me. Sam Smith not even thanking his zillion backup singers who stayed in the dark after his last song? No. Lots of Aidy this episode which made me happy. She's so good at so much. A Kyle Mooney/Beck Bennett video was cut for time, and I think it may have been my favorite sketch of the week. Safelite AutoGlass isn't happy with the sketch. Which is surprising because I thought it was one of the sponsored sketches. They never tell you which ones are sponsored, but they have used a lot more real company names since announcing sponsored sketches (Olive Garden, Cheetos, Russell Stover chocolates). Safelite is in full denial mode about being part of this. So either SNL didn't get permission, which would be stupid because they could have used any fake autoglass company name, or there's some ad company in the middle who got fired Sunday morning. I don't know where I heard this, but my impression is that the sponsoring companies do not have any input in the content or subject matter of the sketches that mention them. I think it might have come up in the last Totino's one. Ohhh that explains so much and is really disappointng. I loved last years "woke and nerdy" version of SNL (I mean, as woke and nerdy as SNL will ever be) and had noticed the first two episodes this year were a lot less interesting to me. I did like the Amazons sketch. That felt like a nice little nod to how queer themes in pop culture are often subtext but also, like, so obvious. I'm really feeling the loss of Vanessa Bayer. I went back and watched the Amazons sketch after my above comment. Turns out that kiss was longer than the GIF I'd seen. Gadot really committed to it, oh yowza. And with all heart-crushing crap going on in the world, may I say as an Older: The fact that bit caused not a ripple, except for those who are pleasantly rippled by it, shows things have improved compared to the first several decades of my life. Also, three taped pieces in the first half hour? 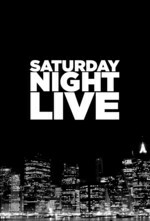 It seemed a bit out of place to me, too, but the sponsored sketches link in a comment above explains that SNL didn't just add more sponsored sketches, like I assumed, but actually cut down on commercial breaks in favor of more show time and are supplementing that ad income with sponsors during the show. Given how commercial breaks were used for setup and costume changes, the taped segments probably fill a logistical need for time for the folks performing live on set.